It’s Oct. 1, and I’m back, people! Ryan and I had a great time in Las Vegas – they aren’t kidding when they say that it’s the city where the party never stops. This probably is the first vacation where I’ve ever come home exhausted, but I guess that means that we lived it up and had lots of fun! Thanks for bearing with me as I get back into the groove of things – I should be back on my regular blogging schedule from here on out, but forgive me if I’m absent for a day or two as I catch up. On that note, it’s time for another month of favorites! Since September was hectic getting ready for vacation and with house hunting, I didn’t try many beauty products or have anything that really stood out as a favorite item. So for this month, I am mixing up this post a bit and sharing my favorites from across the board. Favorite Song:“Shake It Off” by Taylor Swift. Let’s face it – whether you love Taylor Swift or can’t stand her, this song is pretty damn catchy. I really can’t get enough of it. The cute music video is an added bonus. Favorite DIY: Fall Wreath DIY Using a Wooden Frame. Even though I switched up the flower pins on my burlap initial wreath, I’m still not quite thrilled with it’s overall feel for fall. I love the unique take on this wreath using a frame instead of a traditional wreath form – I’ll be picking up the supplies for this on my next trip to Michael’s! Favorite Recipe: Le Man & Wife Baked Spaghetti Pie. This is an oldie but a goodie in our household. I made it for the first time in nearly a year before we left for vacation, and it never ceases to taste amazing. I add a pound of ground meat to the recipe to make it more man friendly – Ryan enjoys the leftovers for days! Favorite TV Show: Project Runway. Even though all my favorite shows are back on now, Project Runway still holds the top spot in my book. This season has been exceptional – if you’ve been watching, who’s your favorite designer? Hands down, I think Kini should win. I also never can get enough of Nina Garcia’s comments. She’s the best. Favorite Fall Mantel: Seasonal Elegance: Fall Mantel. 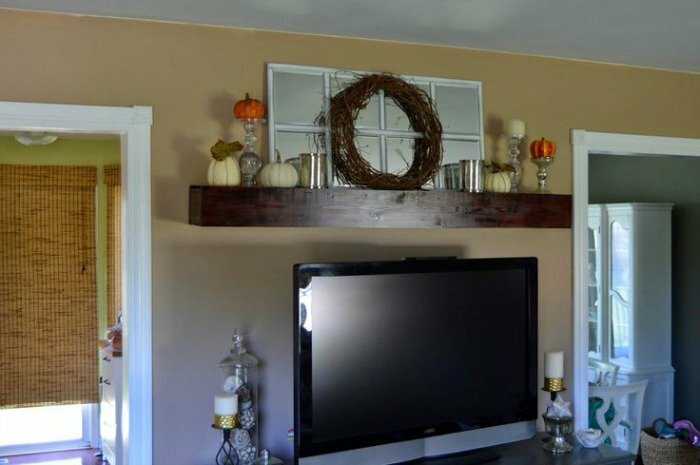 Aimee from Aimlessly Elegant killed it with her fall mantel decor. I’m definitely going to take her ideas and translate it to our own mantel at home. Plus, how genius is it that she used a shelf above her TV as a fake mantel since they don’t have a real one?! Favorite Upcoming Movie Release: Gone Girl. Okay, I truly hated this book. Like, I was super ticked when it was over because I was left unfulfilled, and I wanted the main female character to drop dead. So, in that case, the book is pretty amazing because I’m pretty sure that’s how the author intended for readers to feel since pretty much all the characters involved are despicable people. Anyways, the movie looks pretty awesome and intense – I think it will do the book justice. 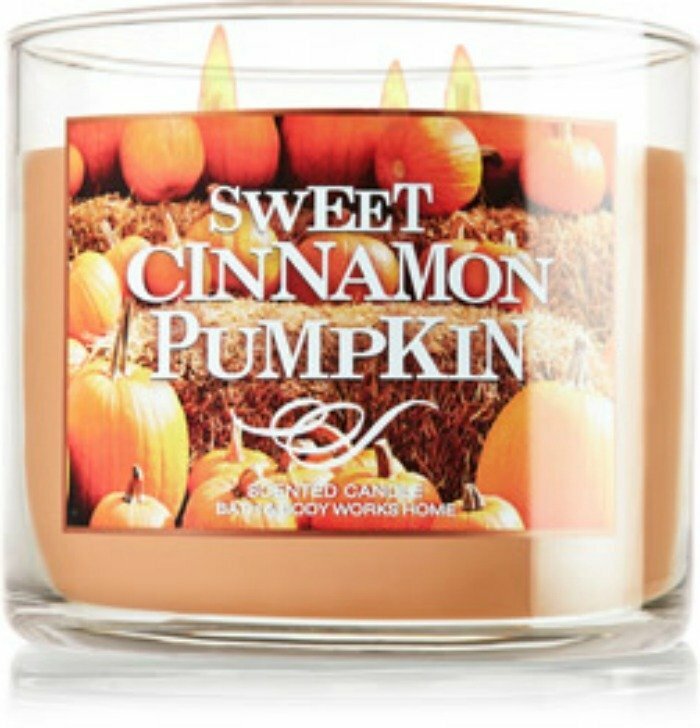 Favorite Scent: Bath & Body Works Sweet Cinnamon Pumpkin. This candle has been burning all day, every day in our house, and my mom recently got the antibacterial soap for me, too. It just smells so. good. It’s the quintessential scent for fall. What were you loving throughout September? I love that wreath! How te! I get a bit jealous over mantels because I love them and I don't have one! haha! Gone Girl has been on my reading list but I haven't got to it yet! Dark Places was my favourite. It's pretty graphic but if that doesn't bother you then I definitely recommend it! I can't wait to see Gone Girl!!! Like, can't wait! One more day. PS I heard that the ending is different, can't wait to see what they did. I thought I was the only one that didn't love Gone Girl. I thought her other books were so much better. I totally felt the same way, the ending seemed really anticlimactic to me! That recipe sounds so up my alley, definitely going to try it out! Hooray for craft night! What a fun idea. I think that wreath would be a perfect option. I'm glad I'm not the only one that felt that way! Yes, it's the best! 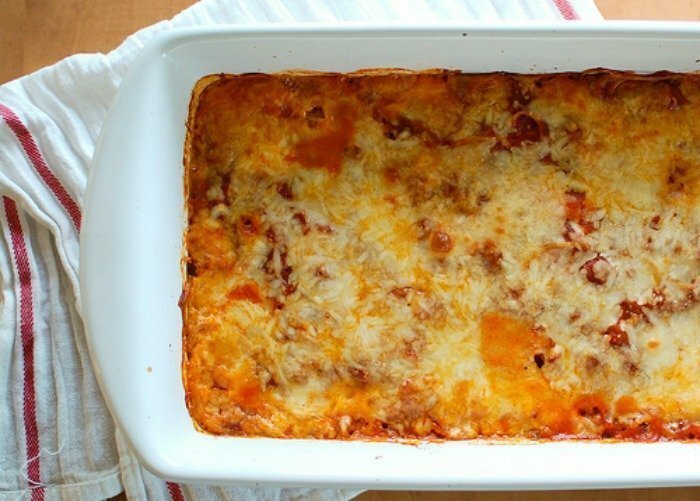 You totally need to make the spaghetti pie – just be sure to add a pound of ground meat, and your man will be in heaven. We definitely had a great time! I'm still recovering and catching up on sleep. 🙂 I heard the same thing about the ending of the Gone Girl movie, so that could keep things interesting. The movie looks just as good, if not better, than the book. I can't wait for the weekend to see it! I think that frame wreath would be a good option for your door – you'll have to try it out and let me know! I hope to have the Vegas recap up next week. 🙂 You must try the spaghetti pie – SO good! It's the perfect scent for fall – thank you for the kitchen soap, too! 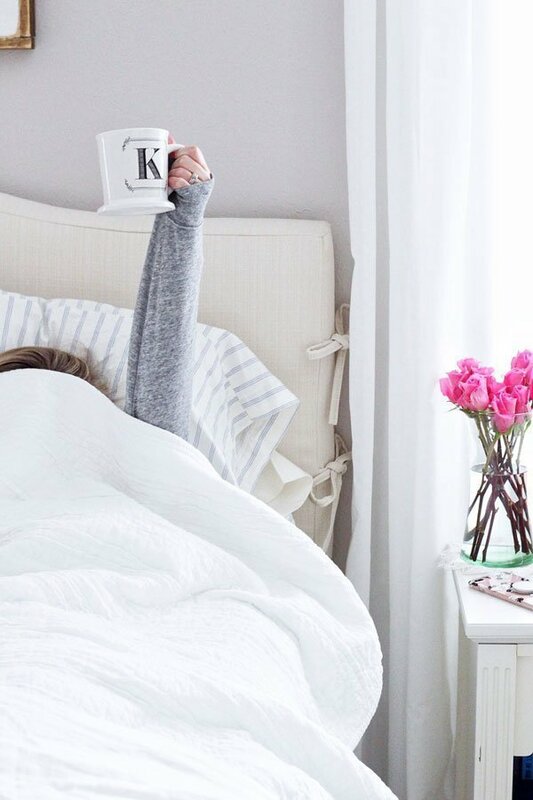 It's the best fall scent out there – you should try it out! Thanks, girl! I had no idea what I was in for when we got home, but sheesh – Vegas definitely isn't the place to go for a relaxing vaca. We had so much fun, though. You know how much I love your mantel – it's the best! Right?! I need to make it asap! 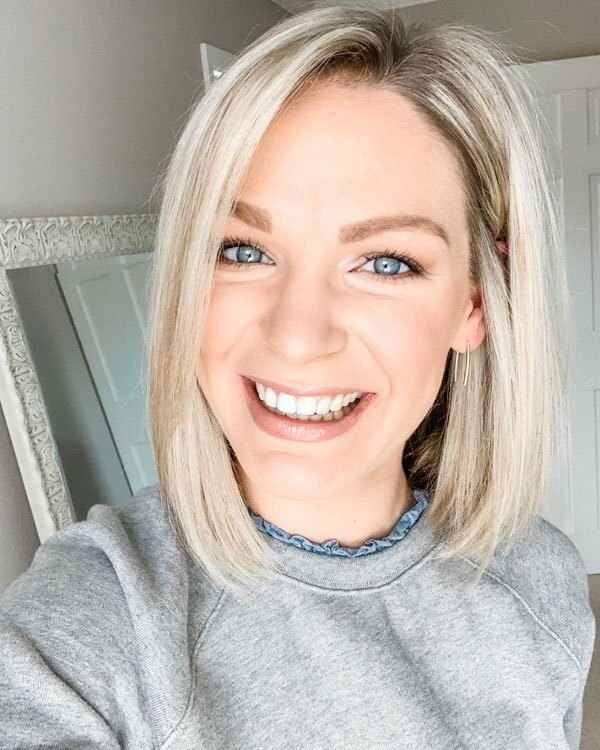 Ha ha – my husband hates anything having to do with her, so it's fun to egg him on a bit! Girl, trust me – I couldn't stand that song either, but then as usual, it grew on me. It's just so catchy! I hope you enjoy Gone Girl! The spaghetti pie is seriously a no-fail recipe – one of our absolute favorites! Girl, I am loving all of your favorites! I've never been a huge fan of T-Swift, but that song is so fun! And I'm hosting a craft night with some friends and had been thinking about what I want to make…I think that picture frame wreath is the winner! It's probably so much cheaper using a frame over wood or foam wreath at Michael's. Great wreath DIY! JUST finished Gone Girl today and yes, unsatisfied is definitely how I feel. I also feel like I truly hate a fictional person hah but am looking forward to the movie, too. Ummmmmmmm I totally need to make that man spaghetti pie it looks so good! Also I love that mantel as well!! Fall decorating is so fun right? You will probably love the movie then- I heard the ending is completely different. I LIKED Gone Girl, but I definitely didn't love it as much as everyone else seems to– that being said, I'm still really looking forward to seeing the movie! Love the fake wreath in that photo- such a great idea if you don't really have a fireplace! I can't wait to hear more about your trip- it sounds like you guys had a great time! Welcome back! I'm loving that wreath girl! We have a very narrow space between our front door and screen door, so I have to find thinner wreath options! This is a great idea. I haven't read the book, but I really want to see Gone Girl! I enjoyed your "little bit of everything" today! A yummy looking recipe and lots of Fall decorating and entertainment inspiration! Sweet Cinnamon Pumpkin from Bath & Body has long been a favorite of mine! So glad you and Ryan enjoyed your Vegas get-away! I loved all your Vegas pics, so glad you had a good time. Loving all the fall decor 🙂 And yes, that candle, amazing! So glad to hear your had a great trip! Vegas will do that to you, I always leave completely and utterly exhausted! You are so sweet for sharing my mantel!! Thanks girl! 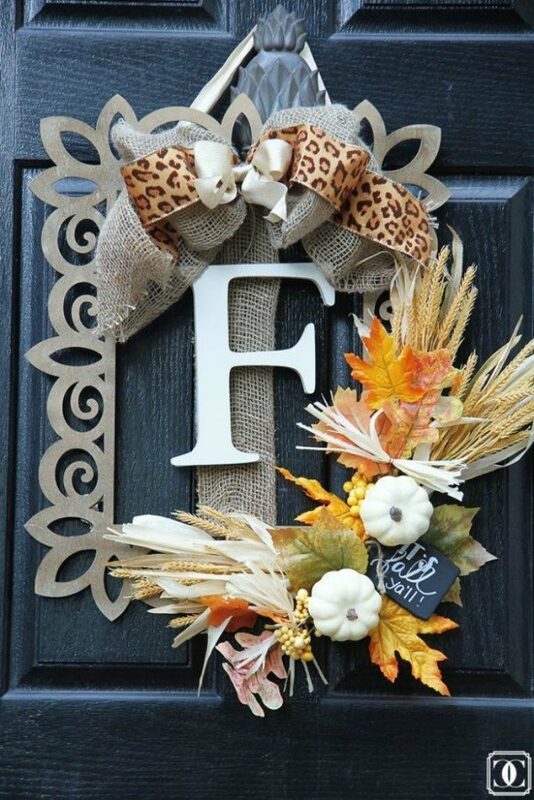 That fall wreath is beautiful, love the idea of using the frame, plus it has white pumpkins, and we all know I am obsessed with the white pumpkins! Love Project Runway and can't wait to see Gone Girl! I love really, really love that wreath! That candle sounds like it smells so good!! And I am in love with her new song too – my husband hates it and I just don't get that! I can't wait for the whole CD to come out! So happy you guys had a great time and can't wait on the full recap!! I just started reading Gone Girl yesterday (LOL) so I'm really excited for the movie – I actually like that I have a face to put to the characters!! That mantle is so pretty – makes me wish I had one for the holidays!! That spaghetti pie looks really good – pinning that one for later!! Yay! Glad you're back and that you guys had an amazing time!! So jealous, I haven't been to Vegas in years! LOVE T-Swift's new song, obviously! And sweet cinnamon pumpkin is also one of my favorite fall scents!